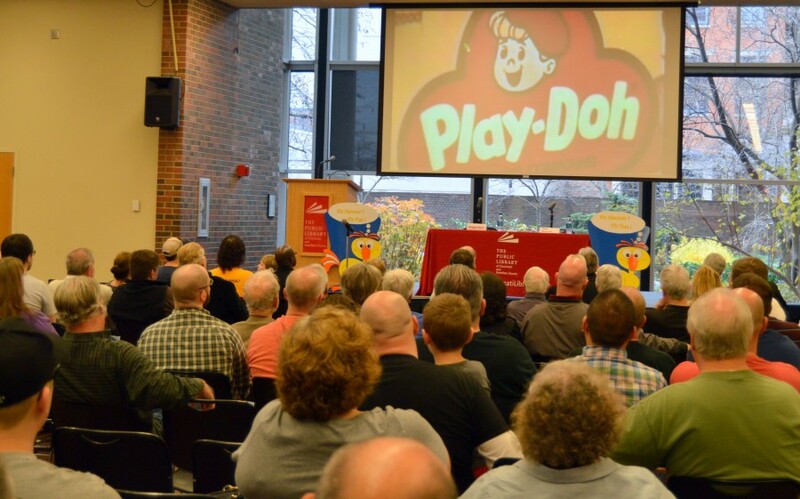 Kenner Products, the Cincinnati company that introduced such enduring toys as the Star Wars figurines, Easy Bake Oven, the Bubbl-Matic Gun and Strawberry Shortcake dolls, is returning to the city it left in 2000. As a mural in ArtWorks’ Cincinnati Heritage series, that is. That’s the same series that already has given us murals dedicated to the city’s old breweries and the Miami & Erie Canal. 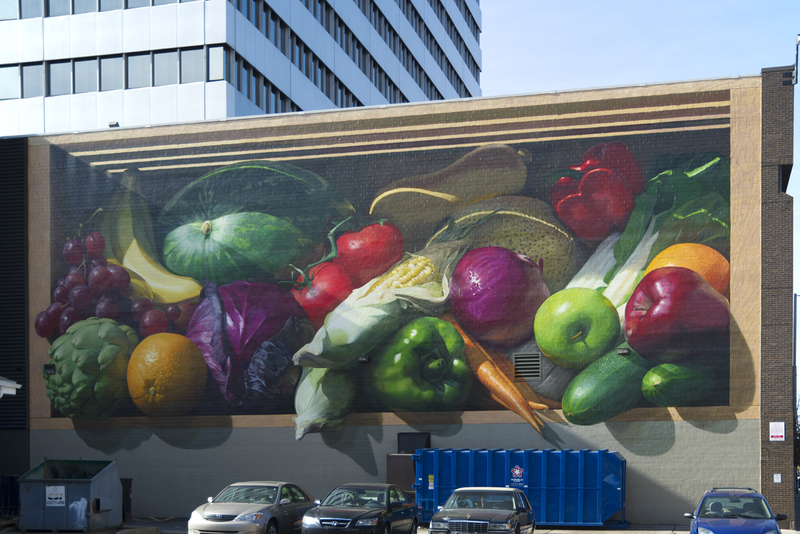 Jonathan Queen, the hyperrealist painter, has been chosen as the mural artist. And a location, along the west side of a building at 23 West Court Street that Towne Properties is developing, has been selected as the site. Towne just last week agreed to sponsor the 10-person youth-apprentice team that will work with Queen on the painting. The project, pegged at more than $100,000 still needs to raise funds, but can get underway before the entire amount is raised. It’s slated to be finished this summer. Kenner Products was started by the three Steiner brothers—Albert, Phillip and Joseph—in 1946, according to Phil’s son Corky, himself a longtime Kenner employee. As it grew, it went through several changes of ownership. The Rhode Island-based toy company Hasbro acquired it in 1991, but kept Kenner as a separate Cincinnati-based product line until 2000. He also hopes to closely study actual Kenner toys for his project, so he’s hoping collectors will let him borrow some. That would include, ideally, the infamous Daddy Saddle, a short-lived mid-1960s item whose packaging featured a young boy, dressed as a cowboy, sitting atop a saddle resting on his father’s back. Dad is on all fours. Kenner’s greatest success was in designing and selling toys associated with Star Wars, a relationship started with the original film’s 1977 release. That revolutionized the toy business—until then movies were risky for toy spin-offs because they had such a short theatrical shelf life. The story of Kenner’s Star Wars legacy was told in a December Cincinnati Magazine article, itself tied to the release of the new Star Wars movie, The Force Awakens. 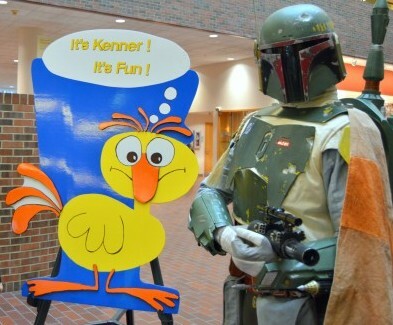 At the same time, Brian Powers—a local-history reference librarian at Cincinnati’s Main Library—had organized exhibits and an all-day symposium about Kenner at the Main Library. During the symposium, Peter Van Hyning, ArtWorks’ public art manager, and David came to announce their mural plans and seek support. The original idea actually had been in the works awhile—Mike Hoeting, a co-founder of Bang Zoom toy designers, and three collaborators had pitched it several years earlier. But it suddenly had all came together. Van Hyning believes the reception to recent ArtWorks murals, especially the new Local Legends ones in Over-the-Rhine devoted to James Brown and Ezzard Charles, seems to have increased public awareness and interest in possible new mural subjects. Louise Beavers, the Cincinnati-born African-American film actress who often played a maid in early Hollywood films but had a major dramatic role in the 1934 version of Imitation of Life. Rosemary Clooney, the Maysville, Ky.-born singer and actress who had pop hits in the 1950s while also being an accomplished jazz stylist. Harriet Beecher Stowe, author of the classic 1852 anti-slavery novel Uncle Tom’s Cabin. Not a native, it was while she lived in Cincinnati that she became involved in the Underground Railroad, and she based her book on experiences here. Dorothy “Dottie” Kamenshek, the Cincinnati-born baseball player who was a standout in the All-American Girls Professional Baseball League from 1943 to the early 1950s and was once offered a chance to play on a men’s baseball team. Van Hyning said ArtWorks will soon announce a project to have the public select one of the five women for the mural depiction. Meanwhile, for its Cincinnati Masters series honoring such established artists as Tom Wesselmann, Frank Duveneck, Charley Harper and Elizabeth Nourse—ArtWorks is planning a new one for the pioneering newspaper cartoonist/animator Winsor McCay. Although not a native, he first started drawing cartoons while living in Cincinnati from 1891-1903, where he made posters for dime museums and then worked for the Cincinnati Commercial Appeal and the Cincinnati Enquirer, where he drew illustrations and started his first comic strip. He and his wife, whom he had met here, then moved to New York. “A book about him by John Canemaker said they always looked back to Cincinnati as their spiritual home,” Van Hyning said.